In the November 28 draw it invited 42 candidates having an expertise in one of the 29 occupations present in the stream. Such candidates get a priority processing in the Provincial Nominee Program. Skilled workers belonging to the Express Entry as well as the direct provincial categories had to score 80 points for qualifying. Moreover the requirement for International graduates in both categories was 90 points. 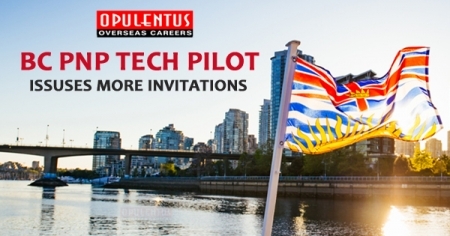 The the BC PNP Tech Pilot, was also the focus in the previous British Columbia draw. In the Nov 21 draw skilled workers and international graduates 41 candidates received invitations in four provincial streams. The direct provincial as well as Express Entry skilled worker streams of the B.C.P.N.P. needed a score of 80 points. The direct provincial and E.E. international graduate streams needed only 90 points. The Pilot will run into 2019 after launching in 2017. It presently has 29 target occupations with relaxed duration requirements. The province can attract technology workers. It has a prosperous technology industry and is associated with big names in the technological world. When a candidate gets the provincial nomination it serves as an effective guarantee in selection under the Express entry. It is worth 600 CRS points also. The PNP also publishes the scores which the immigrants have to get, which guarantees an invitation under its programs. The score requirement for international graduates is set at 30 points below the skilled worker under the Express Entry and also in provincial streams. It is low for entry-level and semi-skilled workers.